Wilson Mirror, 16 May 1888. 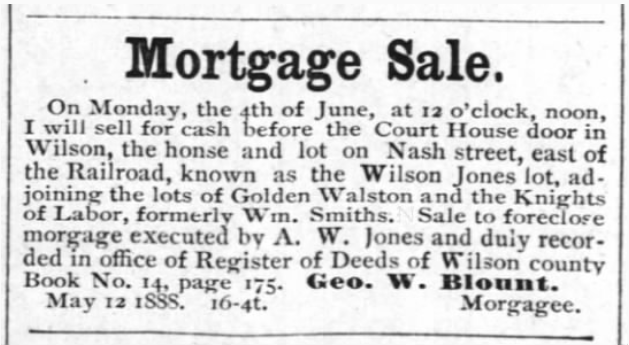 Just a few years into his marriage, A. Wilson Jones encountered financial difficulties and let his house and lot on East Nash Street go into foreclosure. Nine years later, he stabbed to death his wife Nettie Vick Jones, sister of Samuel H. Vick. ← Who was the victim?